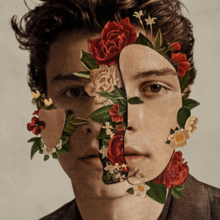 The pure-hearted soul known as Shawn Mendes released his third album on May 25, 2018, and fans went crazy over the beautiful melodies. His self-titled album is a mix of love and hurt with a touch of bass guitar. This self-titled album proposed a new way of creating music and a whole new era of music and touring. I’d personally recommend this album to someone who feels that nobody can relate to their problems. If you feel the need to relate to someone through music, this album might be something you would be interested in.